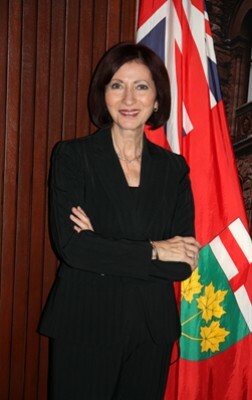 Banning employees from visiting social media sites, such as Facebook and Twitter at work isn’t a good idea, according to Ontario privacy commissioner Ann Cavoukian. Cavoukian said she completely understands why in today’s environment some businesses may favour an outright ban, but says such prohibitions are almost always counterproductive. The privacy commissioner’s remarks come in the wake of a study released by a U.K. firm Monday showing that people who use Facebook, Twitter and other social networks, while at work, extract a heavy cost on their employers. Employees using Twitter and other social networks in the office cost U.K. businesses about 1.38 billion pounds (around Can$2.40 billion) a year, according to London-based Morse plc, an IT services and technology company. Morse surveyed 1,460 office workers and found that 57 per cent browse social networking sites for personal use while in the office. Those workers use social networks an average of 40 minutes a day at work, which adds up to a lost week each year, the survey found. “The popularity of social networking sites such as Twitter and Facebook has grown considerably over the last couple of years,” said Philip Wicks, a consultant at Morse, in a statement. Morse, which commissioned research firm TNS Group to do the study, isn’t alone in its findings. Hickernell recommends that Canadian firms treat access to public social networking sites the same way as Internet access using company equipment. Personal use of such sites should be governed by company policy on use of company information, technology, equipment and services, said Hickernell. And access to social networking services through employee-owned cell phones also should be covered in a policy, the Info-Tech analyst said. When firms decide to ban access to sites through the company firewall, he said, they need to create a procedure for exceptions. According to Cavoukian, instead of a blanket ban on social media at work, Canadian firms would get better results by providing employees with solid guidance in this area, and creating a formal “social media policy” that’s communicated to staff. Firms can use their social media policy to reinforce messages their employees should be hearing anyway, the privacy commissioner said. Apart from earning employee goodwill, many Canadian firms say there are other corporate advantages associated with a democratic social media policy. Molson Canada, for example, sees great value in the “conversations with the customer” that their staff engages in on sites such as Facebook and Twitter. This candid dialogue, he said, contributes big time to brand visibility. He distinguished such conversations from one-way push marketing, that sometimes happens even on sites such as Facebook. Devins cited the example of the social media buzz surrounding Molson Canadian 67, the new low (67) calorie beer launched earlier this month. There was significant comment on social networking sites about this product, much of it sparked off by Molson employees. But Info-Tech’s Hickernell says employee conversations about the company on social networking sites – even for business reasons – should be with company approval and oversight. The analyst acknowledged that many employees are way ahead of the corporate leaders in understanding the potential these new technologies. Even when employees engage in social networking for business reasons, security, privacy and other issues still need to be addressed, the Info-Tech analyst said. Overseeing personal sites – a no, no! He said if a staff member posts confidential or otherwise embarrassing information about the company on a personal site, it isn’t an IT, but an HR issue. “It should be dealt with just like if an employee wrote a letter to the editor of a paper with the same information.” Such communication is inappropriate regardless of the channel, he noted. Instead he recommends monitoring and filtering traffic at the firewall to protect the company from lawsuits relating to the creation of hostile workplace environments. Earlier this month, a study commissioned by Robert Half Technology, an IT staffing firm, showed that companies are starting to take on social networkers in their offices. This study found that 54 per cent of U.S. companies had banned office use of social networking sites — such as Twitter, Facebook, LinkedIn and MySpace — while on the job.